I love weddings! I seriously still cry every time I think about our wedding day. It was just so happy and even more than I dreamed and prayed it would be. My husband and I were blessed with the sweetest family and friends in the whole world. Not only did they give up their weekend to celebrate our wedding and marriage with us, but they gave us some of the most generous and thoughtful wedding gifts! I still have every single wedding card we received saved in a wedding memory box so that I can reminisce on the sweet wisdom and encouragement in each of those cards. I have always loved shopping for wedding gifts for other people. 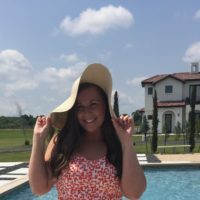 I want to make sure I am giving them something that they will truly love! I usually stick to the wedding registry when selecting a wedding gift. However, one of my bridesmaids and her husband gave us something that was not on our registry and it was absolutely brilliant! 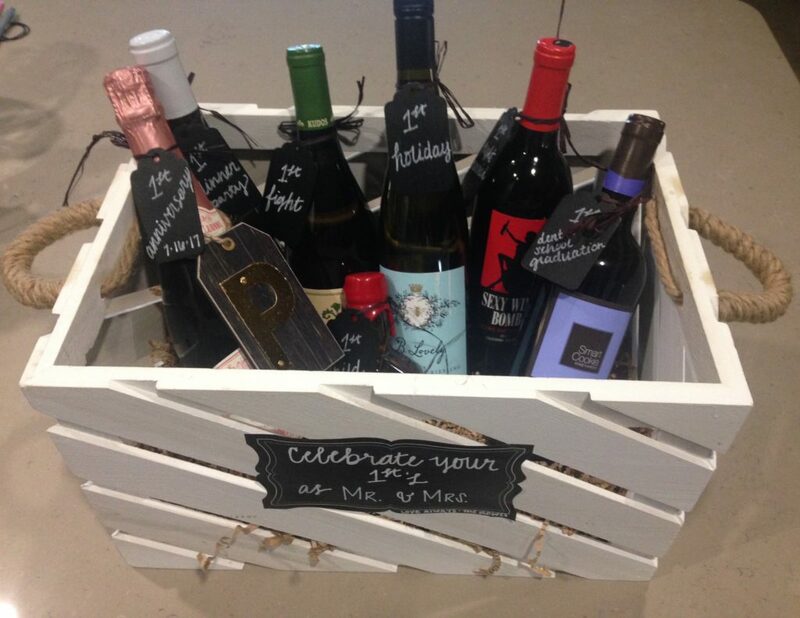 They gave us a wine crate full of wine bottles and each wine bottle was labeled for a different “first” that we would celebrate together as husband and wife. It was absolutely beautiful. Aside from the fact that we were given a basket of WINE, each bottle had a different celebration for us to look forward to! First night married, first fight, first holiday, first dinner party, first anniversary, first baby, and first dental school graduation! The last one was very specific to us! We have joyfully celebrated with every bottle except two; first baby and first dental school graduation. Those will be enjoyed in our future! 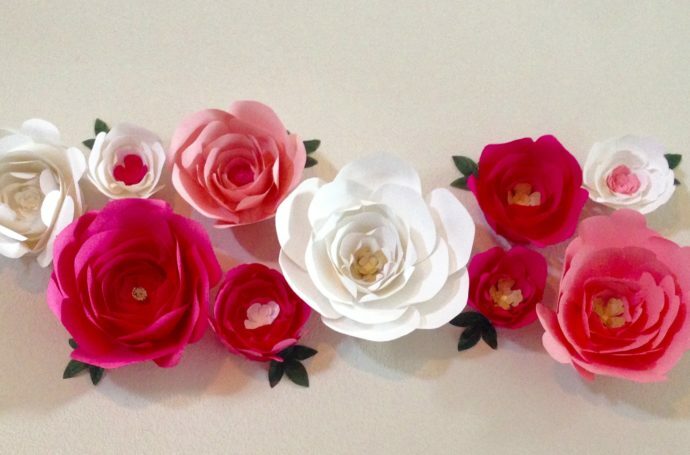 I loved this gift so much that I decided to make it for a baby shower I hosted. Now don’t freak out. This gift is for Mommy Milestones. Firsts for the mommy and daddy to celebrate with AFTER the baby is born. 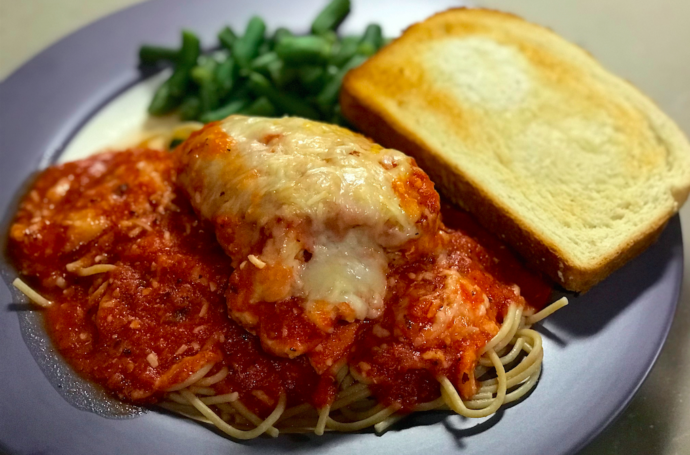 This was a big hit with the mommy and daddy-to-be! This past weekend, two of our sweet friends were married in Fredericksburg, Texas. For those who may not know, Fredericksburg is known for their beautiful vineyards. 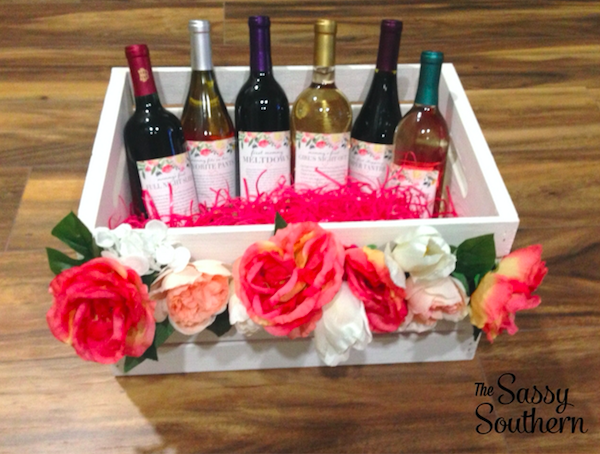 Our friends also happen to love wine, so I decided this would be the perfect opportunity to create another wine basket of firsts for the beautiful bride and groom! I found this lovely shop on Etsy called Lush Label and they create adorable custom wine labels with poems that match each of the firsts! 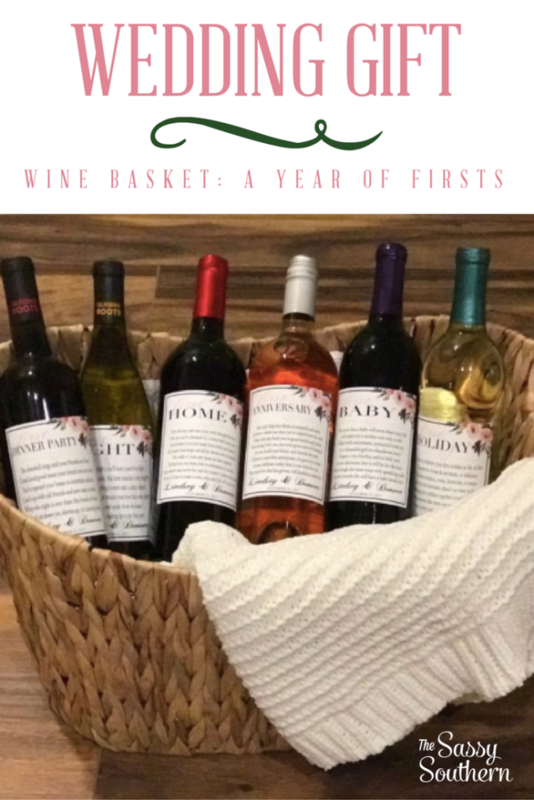 I also used them for my Mommy Milestone Wine Basket I mentioned earlier. The shop owners are lovely to work with and their poems and labels are adorable! 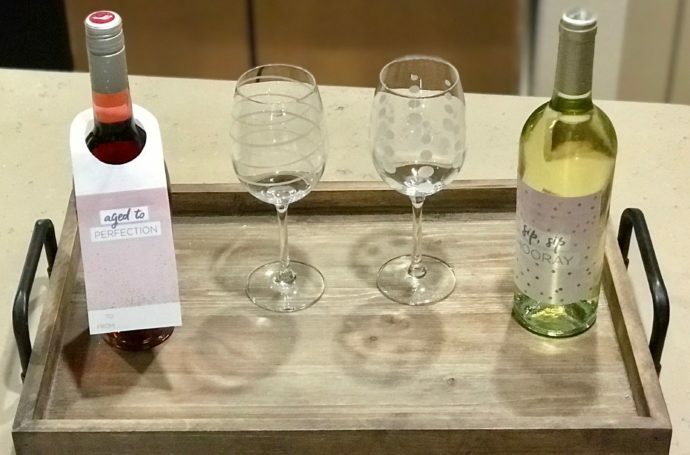 I have found that the easiest way to get the original wine labels off of the wine bottles is to put them in a bowl of room temperature water. I let them soak for about 30 minutes and then remove the label. I just use a wet paper towel and soap to pull any extra sticky stuff off of the bottle. Unless you are taking the label around the cork off, make sure the top of the bottle does not get wet! Dry the wine bottles and apply the new label. In my opinion, I think it is easiest to apply the side of the label first and then work your way to the other side. This will help prevent wrinkles! I chose a basket instead of a wine crate this time because I felt like it fit this country-wedding theme. 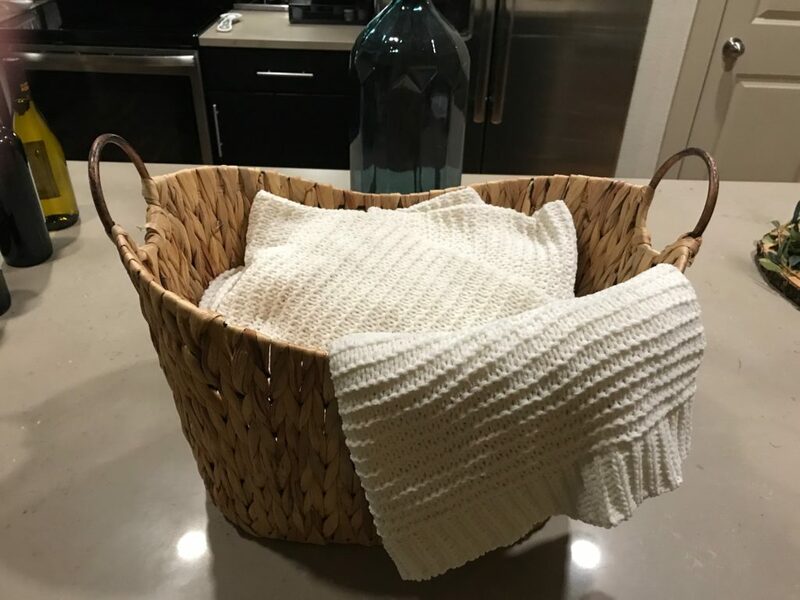 This is also a basket that they can use in their home. I stuffed the bottom with plastic grocery bags so that my wine bottles would sit higher in the basket. I covered the plastic bags with this beautiful cream-colored sweater knit throw from Target. 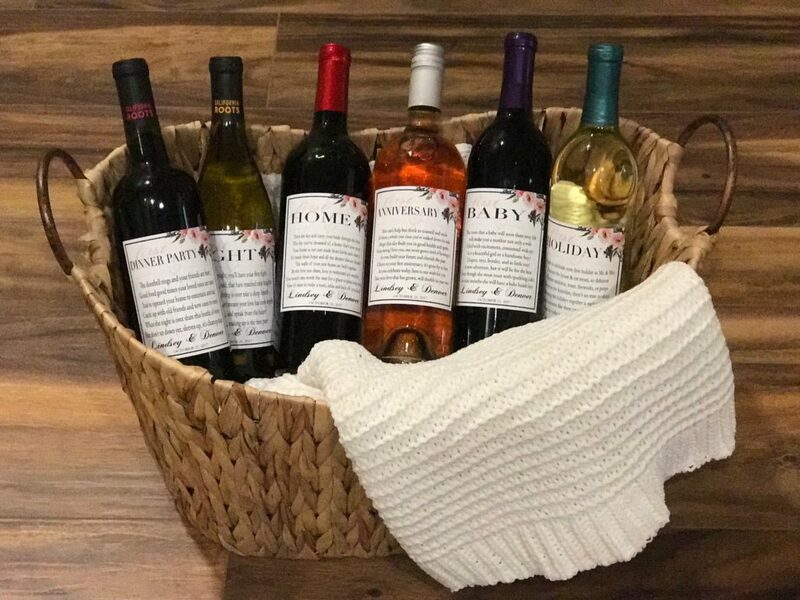 I draped the blanket over the edge of the basket and placed the wine bottles in the basket! 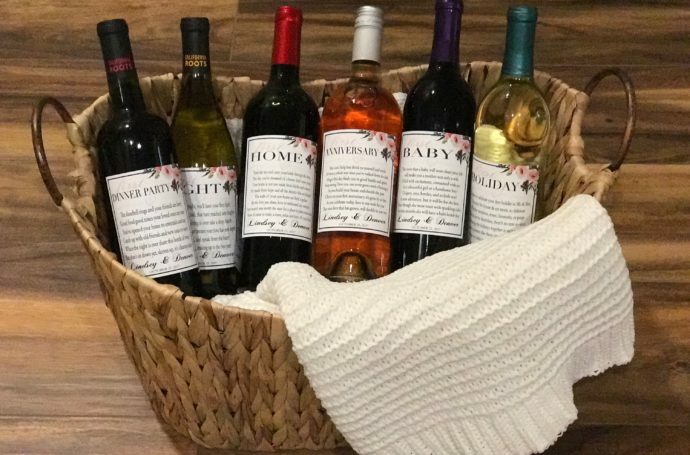 This gift is perfect for any wine lover in your life and helps make many first memories so special!